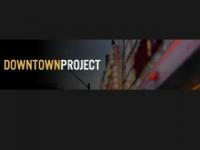 Recently I had the opportunity to visit and experience the work being done as part of the Las Vegas Downtown Project. It is a $350M project with a mission to “ transform Las Vegas into the most community-focused large city in the world”. They are working on that mission actively through the purchase of real estate and investing in small business, start-up technology, and education. The work is well underway with a number of new small businesses and tech centers, a preschool that is developing into K-12, and a growing community of young people. Tony Hsieh, CEO of Zappos, which is headquartered in the old City Hall Building in downtown Las Vegas, is a key sponsor of this effort. His presence is felt and much of the conversation evolves around how he is bringing people with innovative ideas together with funding to realize the mission of the Downtown Project. I was invited to visit the project, along with a number of others, by one of our OS PhD students, Dennis Rebelo, President of Alex and Ani University. Dennis met Tony and, after a conversation about shared humanistic values for business and community, Tony invited Dennis to visit the project and share any resources he felt would benefit the collaborative effort. Dennis was inspired by the project and delivered some inspiring workshops, so now has a strong relationship with the downtown project. As a co-curator of Creative Week which I attended, Dennis invited a number of his colleagues to come and stay at The Odgen, a new apartment building in the Downtown area where Tony lives and maintains a number of apartments to accommodate those who want to visit and support the project. So, what we have developing in Las Vegas is the co-creation of a new community, one that is transforming the downtown area from purely tourists, gambling, and check cashing businesses to one where families, young people, artists, and entrepreneurs will gather to create an integrated live-work space. To a great extent, the approach being used is one of open-space and open source, which is accomplished through the power of invitation and inspiration. One of the new and popular community spaces is Container Park, an innovative new space made from shipping containers which holds small businesses, a children’s play structure, and a performing stage. As a long-time resident of Las Vegas stated, “we never imagined we would see families with baby carriages in this downtown area and now they are here, enjoying this new community space”. Close to 600 jobs have been created by the Downtown Project and many more are expected. Some of those jobs are in the new community healthcare center Turntable Health, which supports the community by providing access to doctors for a low monthly fee. It also provides 24/7 physician access by phone to reduce visits to the ER. I was grateful to have the opportunity to visit the Las Vegas Downtown project and meet many of the passionate people who are driving the transformative change. Las Vegas is not my favorite place to visit as I don’t seek out the primary type of entertainment and experiences offered there, and I hold great concerns about the sustainability of such a city. I left with great hope that this project can make a difference in creating a new type of community, one that serves people well in their lives and work. I left believing that if this type of transformation can happen in Las Vegas, it can happen in any of our cities. We just need to find ways to creatively engage people who hold humanistic values, want to live in a dynamic community, and can offer the resources needed to design and build sustainable cities.